What Are The Oscar Winners Doing Next? Fresh from their Oscar wins, the world appears to be the oyster of those who took home the highest honor in the film industry on February 22. Specifically, what are J.K. Simmons, Julianne Moore, Eddie Redmayne, Patricia Arquette and Birdman director Alejandro G. Inarritu planning to do next? Watch The Theory of Everything online and it's easy to see that Redmayne deserved that golden trophy. So, how will he follow it up? We answer that question and toss a few other Academy Award winners into the mix, like Best Song winner Common! Check out the 15 best Oscar moments and then click through and discover where these newly minted Academy Award winners will next be seen! 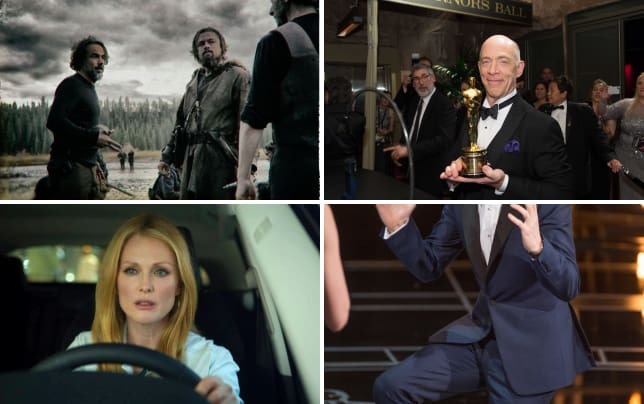 What Is Next for the Oscar Winners?